On September 30 this year, the BSF discovered a 14-foor secret tunnel (below the border fence) in Arnia Sector of Jammu. 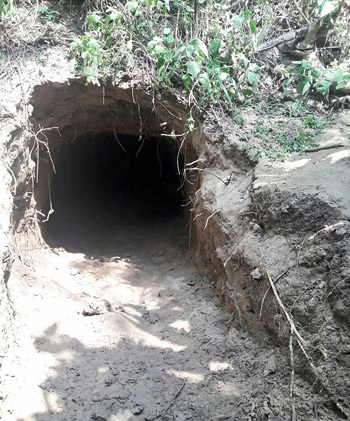 This was the second big tunnel detected by the BSF aside the international border over the last seven months, previous one being in the Ramgarh Sector in Samba region. As per BSF sources, this one was aimed at sending large number of terrorists to "cause havoc in the festive season". Pakistan has been indulging in repeated cross-border violations in these areas, indulging in heavy firing to assist infiltration. The inability to infiltrate large groups has led Pakistan to resort to tunneling. Incidentally, the tunnel discovered on September 30 was just a day after the border meeting between the BSF and Pakistan's Rangers. The unfinished tunnel discovered was about 3-feet in height and 2.5-feet wide. In 2012, a sophisticated 400m long tunnel with ventilation pipes was discovered in the Samba Sector and another was found near the Line of Control in the Akhnoor sector in 2009. Actually between 2001 and 2016, India has discovered at least eight tunnels originating from across the border along Pakistan, at an average of one every two years. Only one of these was suspected to have been dug for drug running, while the others are linked to infiltration operations. Israeli engineers are currently at work on a NIS 3 billion Gaza border fence that runs above and below ground and includes an underground concrete barrier armed with cameras and sensors due for completion by early 2019. It is unclear whether the tunnel blown up Monday was exposed during works on the barrier. As far as tunnel detection goes, it would be prudent to also look at such technologies incorporated in drones that can be deployed easily and can cover extensive areas. Drone technology for detection of landmines and their destruction through drones has already been developed privately in India. During the Vibrant Gujarat Summit in January 207, 14-year old Harshwardhan Zala (class 10 student) signed a 5-crore deal with the Department of Science and Technology, Government of Gujarat, to facilitate production of the drone developed by him that detects and defuse land mines. The drone is equipped with infrared, RGB sensor and thermal meter along with a 21-megapixel camera with a mechanical shutter that can take high resolution pictures as well. 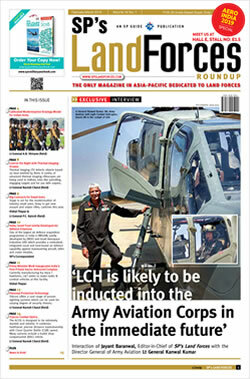 Israel has already indicated in assisting India for securing its borders. We have considerable in-house expertise already and we must cash on the offer by Israel and other strategic relationships to counter the dual China-Pakistan threat astride our borders, including through underground tunnels. exploding enemy tunnels 'with' infiltrators inside would be added fun.